Dido's popularity is founded on her ability to write simple songs dealing with everyday emotions that most of us identify with. For much of the late 90s/early 2000s Dido's dulcet tones ruled the radio airwaves, spilling out to dominate the UK charts and even conquer US shores where she hit platinum thanks to the success of her sophomore album Life For Rent. Synonymous with emotion-filled, smash hit ballads 'Here With Me', 'White Flag', the enchanting songstress is set to dust off these bonafide classics as well as introduce the world to fresh new material when she returns to the stage for the first time in 15 years. The hotly anticipated world tour kicks off in the Summer of 2019, timed to coincide with the release of Dido's latest album Still On My Mind. Born and raised in London, the Dido showed an affinity for music at a young age, eventually enrolling at the Guildhall School of Music & Drama and honing her songwriting and performance skills. Her considerable talents first garnered attention in 1995 when she collaborated on a series of tracks with her producer brother Rollo and the legendary trip hop outfit Faithless, and it wasn't long before she was in the studio working on her debut album No Angel. Released in 1999, the album was a complete breakthrough and has since sold over 22 million copies world wide. Dido's ascent into the pop stratosphere was further solidified when rap mogul Eminem sampled her song 'Thank You' on his hit tune 'Stan'. 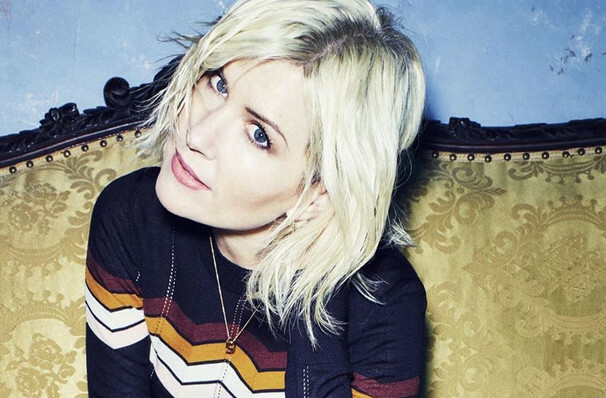 In recent times, Dido has collaborated with the likes of Brian Eno, Sister Bliss and A.R. Rahman on her subsequent albums, appeared on the second series of reality TV show The Voice and released a Greatest Hits album, a milestone that emphasises her iconic status. 'Still On My Mind's' lead single 'Hurricanes' finds the English hitmaker returning on fine form, with her velvet vocals firmly in the spotlight, underpinned by trippy electronics and a dark, yet uplifting feel. Seen Dido? Loved it? Hated it? Sound good to you? 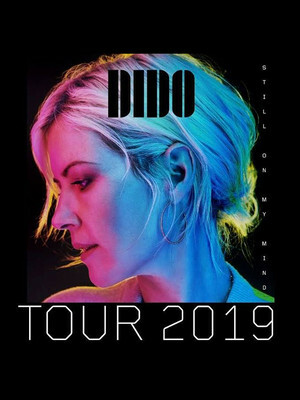 Share this page on social media and let your friends know about Dido at Showbox SoDo. Please note: The term Showbox SoDo and/or Dido as well as all associated graphics, logos, and/or other trademarks, tradenames or copyrights are the property of the Showbox SoDo and/or Dido and are used herein for factual descriptive purposes only. We are in no way associated with or authorized by the Showbox SoDo and/or Dido and neither that entity nor any of its affiliates have licensed or endorsed us to sell tickets, goods and or services in conjunction with their events.